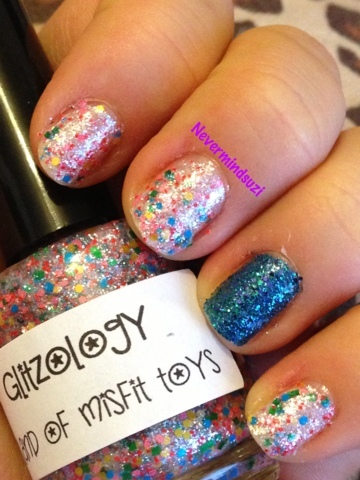 I've another gorgeous Glitzology polish for you today. And this time it's a Christmas themed one! The Island of Misfit Toys kind of reminds me if A England's Morgan Le Fay, well the base does anyway. An iridescent white that shimmers full of silver and even hints if blue. 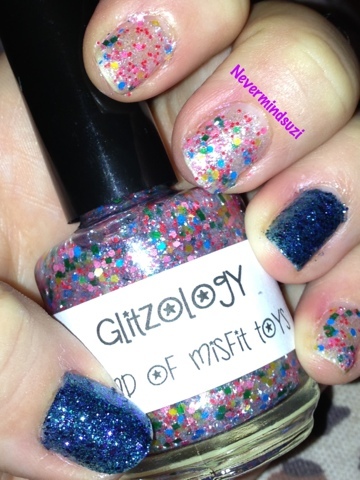 Add to this red, yellow, green, blue and pink solid glitters, it makes for an interesting mix. I decided to try this without any underwear and 3 coats worked out well. 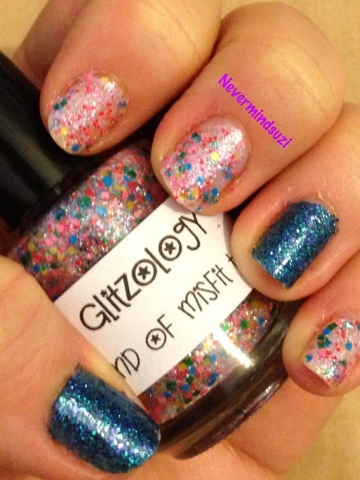 Couldn't resist adding a ring and thumb mani again of China Glaze Water You Waiting For? It's def a fave!